Please browse through our store and shop with confidence. There are many ways to order your item, with online being most popular. Simply add the item to your cart, and when done adding, select checkout. It's quick, simple and secure. Shipping rates can be seen before commiting to the item. Phone orders are welcome, please feel free to call. To pay by check, use the print and call feature. There is a discount for paper type payments. If you need to send payment, documents, or anything to us via UPS, FedEx, USPS Signature Confirmation, Etc., our receiving location is staffed 6 days a week for your convenience. Products are in stock, shipment is immediate. No back orders, long backorder times, ect. Items are as pictured, and a brief description given. Great effort is given to properly describe the items but some errors may occur. If in doubt, or you see an error, please call or email. Credit and Debit Cards, Checks, Money Orders, Cashiers Checks all acceptable forms of payment. Our Online sales began before the turn-of-the century, and with thousands of transactions under our belts, you will find why our products and services make Shop.YourToolingStore.com a success. Pneumatic-Air Driven Tools, Paint Sprayers, Impact Wrench's, Chislers, Rivet Guns, Roofing Nailers, Chain Hoists, Staplers, Hammers. Ignition, Diagnostic Testing, Electrical and Trim for US cars and engines. Mitutoyo, Starrett, Brown Sharpe, Mahr, Fowler, Digital and analog bore gages. Borematic, Holmik, Intrimik, 3-Point Contact. Available as sets with Master Setting Rings. Holes, Bores, Cylinders measured with precision accuracy. Wohlhaupter, Bridgeport, Flynn, Narex Offset Boring Heads, Moore Tools, . Metal working machine tooling. Bridgeport R8 Tooling and milling machine parts. Acer, Comet and other R8 spindles. Handles, collets, drill chucks, endmill holders, drawbars, machining. CNC Milling Head Attachments, Tool Setters, Digital Readouts, Milling Cutters, Cat40, Cat50, BT35 Holders. Parlec, Renishaw, Setting Jigs. Collets, ER16, ER20, ER25, ER32, ER40, 5C, 16C, Bridgeport, Deckel, Procunier, 3AT, Hardinge, Lyndex, TSD Universal, Double Angle, Taper, Cushman, Crowford collets. Collets for chucks, mills, Lathes, spindles, index fixtures, etc. Contractor equipment and tooling - Mechanical, Electrical, HVAC, Concrete. Drills, Threaders, Meters, More. Oxygen Acetylene Cutting Torch, Hoses, Regualtors, Harris, Koike, Rose Buds, and metal working fabrication. Mitutoyo, Starrett, Tesa, CEJ, Johansson, Brown Sharpe, Fowler, Federal, Digital and analog Indicators. Lug back, Flat Back, Stem and more. Jacobs 11N, 14N, 16N, 18N, 20N Drill Chucks. Albrecht keyless. For Drill Presses, Milling Machines, Lathes and other spindles. Digital force, push pull, deflection force gages. Chatillon, Dillon, Mark-10 BG EG 100 50, and other quality instruments. Precision gage blocks, the primary standards vital to dimensional quality control in the manufacture of interchangeable parts. Perfect for setting calipers, etc. to using on surface plates. Starrett, Mitutoyo are the preffered blocks in this store. Rockwell, Shore, A, B, C, D, E, Wilson, Impact and digital. Stands and accessories can also be found here. High-Speed, High-Torque lathe, mill and surface grinder attachements. Precision machine tooling. Enerpac Hydraulic Cylinders, Greenlee Rams, Power-Packs, Fittings, Dies, Punches, Drawbars, Construction, Fabrication Equipment. Pressures to 10,000 PSI. Riggers, Die Shops, Presses. Russ Tool Micro-Adjust Test Indicators Stands. Authorized dealer and distributor. Perfect for AA grade inspection plates, along with all work surfaces. Mitutoyo, Starrett, Mahr, Brown Sharpe, Lufkin, Outside Micrometers. Blade, Thread, Point, Indicating, carbide faced anvils for demanding precision machinists. Perfect for quality control (QC) labs, inspection rooms where metrology rules. Aloris, Dorian toolpost and toolholders, Buck chucks, Valenite Boring Bars and Heads, Lathe, Spindle and Turning Tooling. Quick-change sold seperate and groups. Mitutoyo, Starrett, Mahr, Tesa outside micrometer sets. Resolutions include .001", .0001", .00001"
Milling head attachments for Bridgeports, CNC and Spindles. Multi-Axis, Speed Multipliers, Precision Angles. CNC, Boring, Milling modular tooling. Includes Drill Bits, Boring Bar holders, Endmill Holders and differing quick change workholding and tooling holding. Precision ground glass for inspection, magnification, calibration and digital machine movement measurement. Bausch Lomb, Seiler, Microscopes, Cameras, Telescopes, Zeiss, etc. 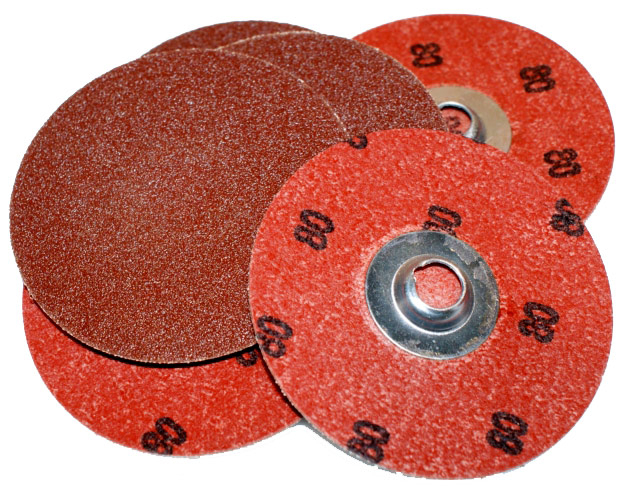 Grinding Wheel Dressers, Sine Bars, Merit Power-Lock Discs, Buehler Minimet Polisher, Lapmaster Flatness Gauge, Tailstocks, Ultra-Sonic and Vibratory Polishing and Grinding. Precision Metal Finishing. Pyranometer, Radiometers, Anemometers, Hygrometers, Controllers, Time Recorders and more. Sound level meters, calibration tools, listening devices. Precision inspection and grinding spindles for quality control, and machine production. Mitutoyo, Starrett, ElektroPhysik, Federal, Mahr, Calibration Targets, Digital Surface Testing. Pocket Surf III accuracy. Plug style thread gages, setting and working, combi gages, Go / No Go, Ring, Pre-plate, Finish. Moore Tools Jig Borer Tooling. Endmill Holders, Boring Heads, Adapters, Indicator Holders, Thraded Shanks, 30 taper machine tooling.